Barefoot Ken Bob's "How To Run"
If you prefer to have a physical book that will explain the many techniques of barefoot running check out The Barefoot Running Book: A Practical Guide to the Art and Science of Barefoot and Minimalist Shoe Running . For an amazing adventure, good read, and answers to many of the "Why? "questions, check out Born to Run: A Hidden Tribe, Superathletes, and the Greatest Race the World Has Never Seen . 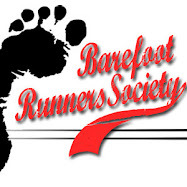 If you want to go out for a run with me or ask me questions don't hesitate to send me an email at barefoottyler (at) gmail (dot) com. Of course, look around, read some of my posts, and subscribe to my feed(located on the sidebar) or "Follow" me(also on the sidebar) so you can receive updates for BarefootTyler.com. Some good links and congrats on making it in the paper.